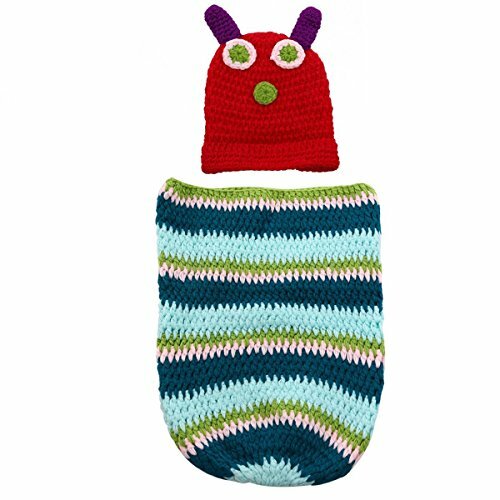 100% brand new and high quality Cute Caterpillar Style Baby Infant Newborn Handmade Crochet Beanie Hat Clothes Baby Photograph Prop. Perfect for memorable photography shoots, baby shower gifts and presents. Please note that the lines on the cocoon are pink not white and so are the eyes.